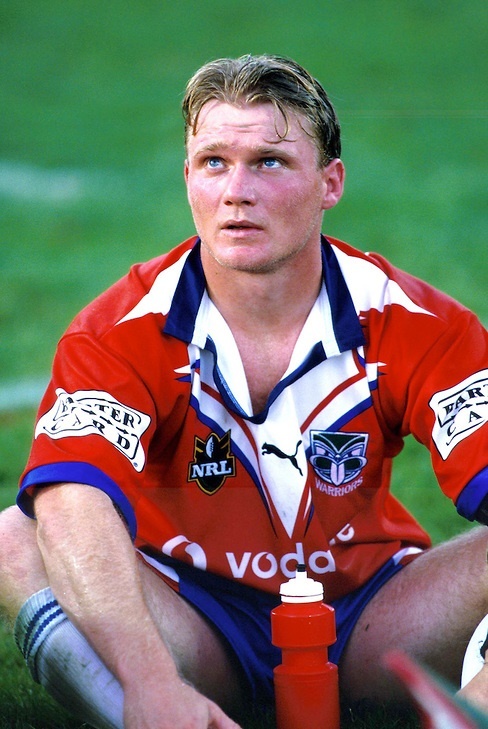 Born in Liverpool, NSW, Robbie played 160 First Grade games spanning 12 seasons and 6 clubs both in the NRL and Super League. Mears' early years saw him playing for Ingleburn Bulldogs, Eaglevale St Andrews, Campbelltown City Kangaroos and Austral Rams in the Western Suburbs District Junior League. While attending Campbelltown's St. Gregory's College, Mears played for the Australian Schoolboys team in 1992. Mears joined the Eastern Suburbs Roosters in 1994 and made his first grade debut in Round 14, coming off the bench against the Cronulla Sharks. However over the next three seasons Mears was only used sporadically by the club and he made just nine more appearances for the Roosters. 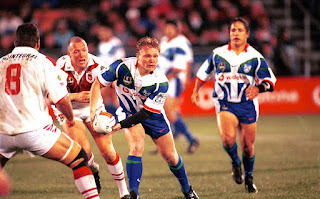 Looking for more first grade opportunities, Mears joined the Canterbury Bulldogs in 1997. He started in reserve grade but got an opportunity to play first grade when Jason Hetherington went down injured. In 1998 he was a regular in the reserve grade team and played in the side that defeated the Parramatta Eels's in the Grand Final. 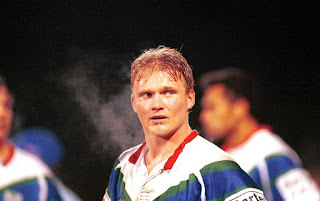 Not wanted by the Bulldogs for 1999, Mears moved into the bush and played for the Ourimbah Magpies in the Country Rugby League Central Coast Division. His form was good enough to make the Country Firsts team for the curtain raiser to the ANZAC Test, where his performance got him noticed by several NRL clubs. He was signed by the Auckland Warriors after injuries to both Syd Eru and Jason Death and made his debut for the club in Round 11. He went on to play 40 first grade games for the club over the next two seasons and was a fan favourite. However, with the purchase of the club, but not the players contracts, by Eric Watson at the end of the 2000 season, Mears was left looking for another club. Today the NZ Warriors #Faither Group have been lucky enough to have a few moments of Robbies time where he has been kind enough to answer a few questions so we can find out a little more of one of the most loved Warriors players to pull on the jersey. #Faithers: Where did it all begin for you as a Rugby League player? Robbie Mears: Footy started for me from an early age. I was about 5 years old. It started to get serious about u/15s where I started to make a few rep teams. In 1992 I made the Australian School boys team which toured New Zealand and I signed with the Roosters from there. #F: If Rugby League didn't work out, where do you think your career and life path would have taken you? RM: I not really sure what may of happened if I never made it to first grade. Being a Police officer was something I always wanted to do. So maybe would have just fast tracked that career. #F: What team did you support growing up as a kid and who was your favourite player? RM: I was a Parramatta Eels supporter growing up and Peter Sterling was my favourite player. #F: Did you play any other sports as a kid? If so, what did you play and were you any good? RM: Apart from footy growing up I use to be a swimmer. #F: What nicknames have you had over the years? RM: Nicknames, Paps, Mearsy, Robbie. #F: After only recently arriving at the club (Warriors), while being interviewed, a cheeky Joe Vagana was busy taking the mickey by squirting water from his drink bottle at you from behind the cameras. Was Joe often a larrikin and who would be the biggest joker you've had the pleasure, or displeasure, to call a team mate? RM: Joe was always good for a laugh. It would be hard to say who the biggest joker was. The sides I played in would have a couple of blokes that like to play jokes. Joel Caine was pretty quick witted. #F: Did getting a second chance at your dream of playing First Grade footy inspire you to play better when the Warriors signed you from the Ourimbah Magpies? RM: Playing first grade always meant the same. Playing for the Warriors always seemed special though every time I took the field. 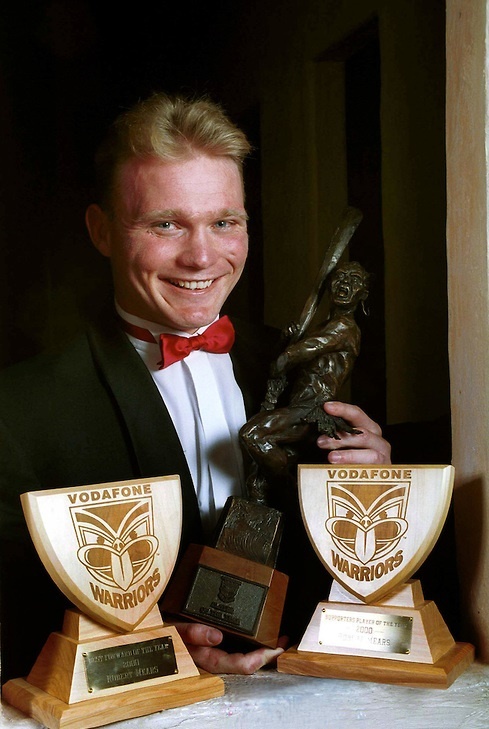 #F: What is your fondest memory of your time at the Warriors? RM: I have a lot of great memories playing at the Warriors. It would be hard to single anything out. The players I played with, the supporters/people I met and each week not only felt like playing for the warriors but was like representing New Zealand. #F: Did you find the it difficult adjusting to New Zealand? Was there a culture shock? RM: Fitting into the life style was really easy for me. The life style was great. #F: Was it easier adjusting to the Warriors/NZ or Leeds/England? RM:Both were very similar adjusting to. I found the weather colder in England. Family was closer when I was living in New Zealand which was nice. #F: You win Warriors Player of the Year then you're unceremoniously dumped from the teams roster when you refuse to sign a new contract under the new owners. How disappointing was that? RM: To be truthful I regret not resigning with the Warriors. The thought of not re-signing always comes back every now and then. #F: Without going into the dirty details that surrounded the end of the season, you claimed the Leeds Rhinos Supporters Player of the Year award in 2001, making it two fairly prestigious awards in 2 seasons at two clubs on the opposite side of the world. At the time, was there one that meant more to you? If so, what were the reasons? RM:I could not single out which “Supporters player of the year” award meant more, they mean the exact same to me. To be voted that award by the supporters was a great honour. #F: Over the course of you career, did you ever go an entire season without scoring a try and end up having to do a nudie run as a result? If so, where did the run take place? RM:In 2005 I was playing for Leigh in Super League. I came out of retirement and played the last 16 games. I never scored but didn’t have to do the nudie run. #F: What pre-game rituals did you used to have? And what was a normal Robbie Mears routine on the day in the lead up to a game? RM: I had a few game day rituals. Game day was always the same. Food was always the same for breakfast lunch and snacks. I did like having Coco pops for breakfast (probably not recommended these days). Go for a walk/sleep. Always got dressed the same for the game and wore the same Speedos. #F: Are you still working as a police officer? RM: Yes. At the end of January I will have been in the job 10 years. #F: Are you still playing for the NSW Police league team? RM: Not anymore. I finished playing police footy in 2015. #F: You played in an era before Fantasy Football. Be honest, how do you think your scores would look if they had Fantasy Football when you were playing? RM: Not really sure. Depend I would say if you were playing a full game or half. Hookers always seem to be toping tackle counts. So that would help to add to your score. #F: Who, in your opinion, was the best player you had the pleasure to play alongside and why? RM: Stacey Jones. Good friend and roommate. I also got to play with Brad Clyde and Brad Fittler. #F: Is there a player you wished you could have had the chance to play alongside but were never able to? #F How is the body holding up from all the injuries over the years? Is any injury in particular causing you grief still? RM: I have permanent nerve damage on part of may face when my jaw was broken. Otherwise the body is pretty good. #F: Do you sing in the shower? If yes, what's your go to song? RM: No never sing in the shower. Terrible voice. RM: I listen to a variety of music. #F: What's your favourite food? RM: Ribeye on the bone or a baked dinner. Lamb roast with potatoes and veg. #F: What sort of a kid were you like in school? And what were you favourite/hated subjects? RM: In school was just a kid that liked to play sport. Best subjects were P.E. Arts, English. Did not like Economics. #F: What was your favourite video game to play as a kid? RM: I train Crossfit most days. I enjoy going to the movies and card tricks. I’d say being polite is your best chance with tickets. #F: Finally, what does the future have in store for Robbie Mears? Rm: Try to be a good dad for my boys and raise them into being good men. Also I would like to get back into coaching league but with my work I can’t do that at the moment. Would like to get to the Crossfit Games that would be a little goal for me.